And make no mistake, Abraham Lincoln vs. Zombies is terrible. In the best possible way. An intentional rip–off that aims to ride the tailwind of Tim Burton’s highly–anticipated Abraham Lincoln: Vampire Hunter hitting theaters next month, this “mockbuster” was created to go straight to DVD. It was released last week to download or rent through Netflix and Red Box and had a rare big screen appearance in back–to–back showings on Memorial Day, causing its rabidly loyal local cast and crew and a few lucky invitees to descend upon the Jepson. 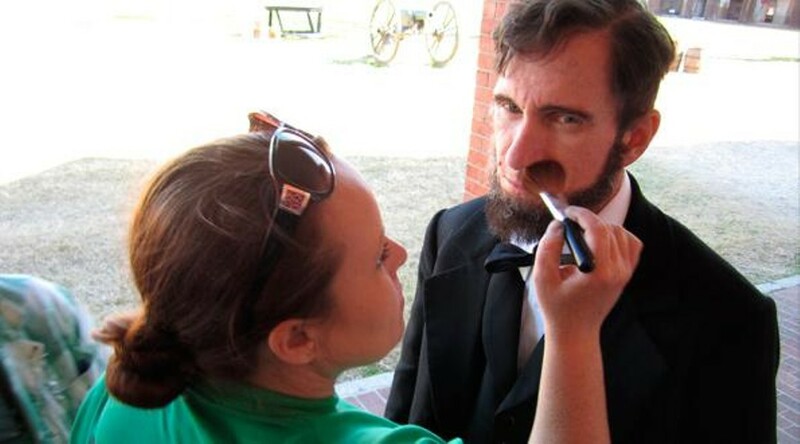 Though Abraham Lincoln vs. Zombies didn’t bring celebrities or loads of cash to town like The Conspirator did or the upcoming CBGB hopefully will, it still pumped up Savannah’s street cred as a feature film location. Savannah Film Office commissioner Jay Self helped coordinate the permits and says he treated the Los Angeles–based Schenkman and his crew with the same respect as he would any big Hollywood production. Because of the measly $150K budget—which would barely cover the snacks in a blockbuster production—Self was also called into action as a zombie extra, along with his daughter, Emily. The production company, Asylum Films, brought on local producer/director Jody Schiesser on First Assistant Director (he produced the 2007 award–winning short film The Street Cleaner) and Savannah–based filmmaker Tim Gill as Director of Photography, along with a host of area actors, many of whom had worked together on past projects. Cheese factor aside, there is much to love about this hysterical historical drama. Gill’s sunbleached cinematography presents Fort Pulaski and Oatland Island as starkly beautiful and perfectly creepy. And while you will hear some of the worst Southern accents ever documented, there are some standout performances: Bill Oberst, Jr. (some will recognize him from Scheisser’s The Street Cleaner) gives a believable turn as Lincoln–as–badass while imbuing the character with the president’s signature stalwart leadership; his Gettysburg Address is so compelling, you might forget you’re watching a monster movie. Even the plot contains some unexpected depth, including the creative device of John Wilkes Booth as a double agent (played as charmingly disturbed by Jason Vail) and a rather impressive soliloquy comparing the mindless affliction of zombiehood to the evil effects of slavery. But choke us in the shallow water before we get too deep. As you enjoy Abraham Lincoln vs. Zombies in your living room, you may want to follow the directive of Schenkman, who doesn’t take his bargain basement masterpiece too seriously. 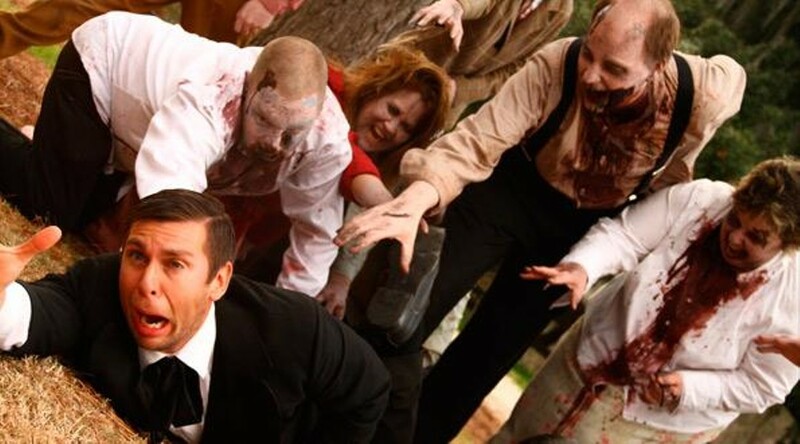 In an email read by Scheisser at the screening, the director (who also plays a horse–riding doctor in his own film) suggests a drinking game: Toss one back every time you see a zombie appear that perished in a previous scene. We say every time you see someone you recognize, make it a double. A screening of Abraham Lincoln vs. Zombies happens this Friday at 7:30 pm at the Averitt Center for the Arts in Statesboro. It’s free and open to the public but seating is limited. Call (912) 212-ARTS to reserve a seat.